By Dr. Charles Steele, Jr.
You’ve probably heard the familiar oath: “First, do no harm.” It’s the pledge doctors are obliged to follow when treating an illness or injury. Our government in Washington should heed the same advice: Don’t treat one problem by creating another, more serious one. That caution comes to mind as I’ve considered new regulations on power plants that the U.S. Environmental Protection Agency (EPA) will propose this summer. As a step toward addressing climate change, the EPA wants to curb carbon emissions from coal-burning power plants and wants governors across the country to shut down coal-fired plants in their states. The problem is that these are the same plants that provide the biggest portion of our electricity, and usually at the most affordable rates. Climate change may well be a serious issue, and one that deserves an informed response from our government. But the EPA’s plan isn’t the right one. According to a growing number of experts who are responsible for overseeing our nation’s electricity supply, the EPA’s plan will do next to nothing for global warming but will raise the cost of electricity for both homes and businesses. It could even make the supply of electricity for all of us less reliable. 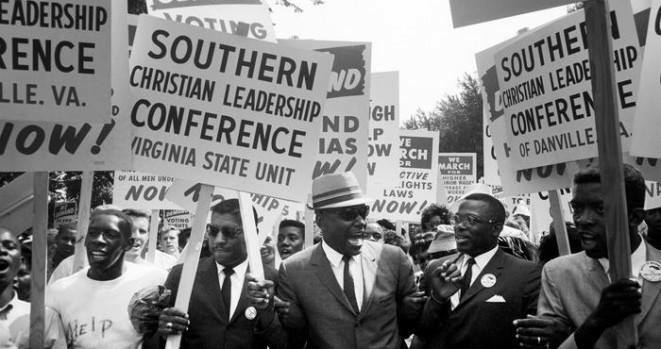 As a person who has spent a lifetime fighting on behalf of poor people, this concerns me greatly, and it troubles the Southern Christian Leadership Conference that I represent. The reason is simple: Higher electricity bills hurt poor and low-income families the most. These communities, frequently consisting of disadvantaged minorities, already spend a larger share of their limited income on monthly utility bills – far more than affluent communities spend as a share of their income. Paying for electricity is not a discretionary expense. The poor and the elderly on fixed incomes need heat in the winter and air conditioning in the summer as much as higher-income households, only they have fewer dollars to pay for these necessities. Rising utility bills can often result in painful sacrifices – a poorer diet, poorer health, fewer of life’s little pleasures and certainly none of the costlier ones. And utility bills are bound to climb as the most affordable electricity is eliminated, forcing us to rely on costlier sources. People’s health conditions are impacted if they are forced to live without air conditioning or heat, or if meals are skipped just to foot higher utility bills. This is a case of government trying to make things better while creating spin-off problems. Surprisingly, even the environmental benefit will be negligible. That’s because American power plants are now far cleaner, and are no longer the largest source of carbon emissions. Instead, power plants and factories in Asia produce far greater carbon output. Overall, the EPA is asking us to pay the price for a problem we can’t fix, and it expects low-income households to pay the largest share. Before the EPA adopts these measures, it should think twice about pursuing extreme rules that will have a negligible environmental impact, but could bring great pain to hard-working everyday Americans. Dr. Steele is President and CEO of the Southern Christian Leadership Conference, a civil rights organization.